Although most people are not willing to admit the obvious, it is clear that, as the years pass by, their furniture has become somewhat dirty. You may not notice it because you have no way to compare what your original couch or sofa looks like, but you can see pictures on the web, make your comparison, and quickly see that something needs to be done. If you have frequent guests coming out, accidentally spilling both food and beverages on your furniture regularly, here are three reasons why you should contact a professional to clean your furniture, positive reasons that you can benefit from. The first reason that you should use a professional to clean your furniture is because they will only use cleansers that will not harm your upholstery. Second, they will have the machinery that is necessary to do a proper cleaning job, allowing you to get out even the toughest stains. Finally, a professional will have the experience necessary to handle any type of furniture, ensuring that it will not be damaged while the cleaning process is occurring. By using these simple strategies, and understanding why a professional furniture cleaning company is best, you should make a call to set an appointment today. The reason that people should use our Company to clean their furniture is because of all that we have to offer. We have thousands of happy customers in the area, all of which have benefited from our services. We can save you time by doing this type of work for you, and also save you money because we have the most competitive prices. Contact us today, set an appointment so that you can get an estimate, and you will be on your way toward having clean furniture once again. If you have not been cleaning your carpets on a regular basis, there is the possibility that you may have a significant amount of bacteria in your carpet. 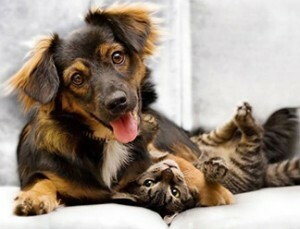 Over time, as you bring in more dirt, and possibly feces if you have dogs, bacteria can grow very easily. Even if you vacuum, it will not get all of this out because it can lodge itself deep within the carpet fibers. That’s why you need to have a professional come out your home on a regular basis to do a deep cleaning, or rent one to do it yourself. Here are the most common types of bacteria that can appear in carpets. Believe it or not, nearly a quarter million organisms can actually live in a single square inch of your carpet. This is a large number, several thousand times more than you will actually be able to find that are on your toilet seat. Most people will not believe this until the tests are actually done. To get rid of this, you need to do a deep cleaning or chemical cleaning every couple months to keep the carpet absolutely bacteria free. The most common types are E. coli, staph bacteria and even salmonella. Although these are typically associated with food that you eat, these are the most common types in your carpet today. In order to keep your carpet cleaning, you need to either purchase a regular steam cleaner from the store and use it every couple months. You can also hire somebody that has the latest technology in regard to chemicals used to treat carpets to get bacteria out, and professional steam cleaning equipment that can go deep into the fibers to remove virtually everything. As long as you do this on a regular basis, you should be able to keep your carpets of bacteria free. I didn’t really know anything about bed bugs until I moved to a city that caters to tourists. Sure I had heard about the pesky creatures, but that was about all. Once I moved here, I was given an education about them by many people and by doing some research. Thankfully, I have not had to put up with them myself. First of all, I found out that bed bugs used to be a very common problem before my time. The bed bug population did decline, but nowadays they are back in full force. With all the tourists in and out of here, some of the motels and hotels have issues with the bugs. The main problem is these are the places that don’t take care of their properties well enough. These bugs hitch rides on everything and not only are they waiting for guests but travel back home with them as well. It’s extremely difficult if not impossible to eliminate bed bugs by yourself. It takes a certain process that requires and exterminator, and it must be handled the right way. Furthermore, my inland friends here ran into a bed bug problem. They had rented a place in a community in which they found out the landlord had not addressed bed bug problems correctly in any of the households. They have a small child, and the bed bugs were getting all over him and them. It was hard for them to even sleep at night. They fought this issue for months with the landlord and even bought new pieces of furniture in some instances. The end result was that the landlord didn’t fully address the problem, and many tenants ended up moving out and cutting their losses. He was actually lucky that is all that happened. If you have a bed bug problem, get on top of the situation immediately by calling an exterminator. If you have recently had a small accident in your home which involved burning of your carpet, you might want to have it replaced. Not only is it unsightly, it could actually cause additional damage as a result of compromising how the carpet sits on your floor. Most carpet is pulled and fastened to the edges of your room, and when you have a burn, it can loosen things up. Here are a few things that you can do to repair the damage carpet and make sure that your existing carpet remains intact. There are a couple things that you can do to repair your carpet if you have recently had a burn, and this usually requires the help of a professional. Whether you are dealing with a gasoline burn, a burn caused by firewood, or just simply forgetting about a cigarette that fell on the floor, you can repair your carpet very easily. The first thing you will need is to find carpet remnants that you may have that are left over from the last time the professional was there. They will be able to patch the area by taking out the damage carpet and putting in something that is brand-new. To measure this, you will place the scrap over the burned area, and using a utility knife, you will be able to cut out a square that will be slightly larger than the burned area. The professional will then cut out the carpet that has been burned, following the size of the new carpet replacement piece, and reinsert the new carpet. The padding may also need to be replaced, so try to find any of that which is left over, and you will have to use some type of adhesive beneath the carpet to hold the padding and the carpet in place. This is the quickest way to replace burnt carpet if it is relatively small, whereas if you have a larger piece of carpet that has burned, it will have to be removed entirely and put back in using a carpet stretcher which only a professional will be able to do. Using these simple tips, you can quickly replace carpet that has been burned, making everything look normal once again. You could try to do this yourself, but you are always better off contacting the carpet professional to do this for you so that no one will notice the new carpet that has been replaced. Tile floors can be extremely challenging to clean. When the flooring is first installed, the grout is fresh and new, and most likely has a coating of sealer over the top. Over time, however, the sealer can start to wear away, exposing the porous grout underneath. 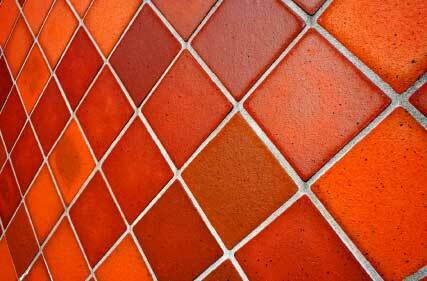 The rough surface of the grout traps dirt, leading to stains and discoloration. Even worse, it also traps moisture, which can cause problems with mold and mildew. Professional tile cleaning companies typically have top-of-the-line cleaning equipment that can blast away dirt and stains. This may include special chemicals, buffing tools, steam cleaners or other high-end equipment. There is no comparison between the level of clean you can achieve with this type of equipment versus a toothbrush and some spray-on tile cleaner. Tile cleaning companies spend countless hours cleaning tile each year. This ongoing experience helps them hone their skills, allowing them to become experts in their field. When you clean your tiles yourself, you may leave behind trace amounts of mold and mildew. Even a small amount of mold can quickly grow into a major problem. Professional tile cleaning, on the other hand, removes all traces of mold and mildew, leaving your tile and grout completely clean. Cleaning away dirt, grime, mold and mildew can help extend the life of your tile and grout. The cost of cleaning can easily pay for itself by reducing repair costs over time. 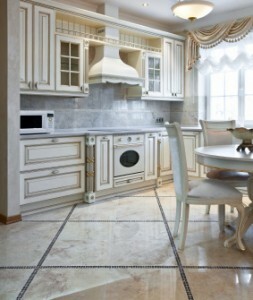 If you have tile floors or walls in your home, you should consider hiring a professional company to clean them. Their advanced tools and extensive experience can leave your tiles looking like new. 1) Internet site: A wonderful looking website is one thing but do not be tricked. Examine to see if recommendations are from independent sources, do not believe everything you check out written by the author, search around for 3rd party score sites and check to see if there are no patterns of the very same ratings by the very same individuals. 2) Look: Exactly what sort of vehicle did they arrive in, is it a decent commercial car suitable for function or simply an automobile. Exists branding. The guy who cleaned my carpeting rocked up in an old filthy banger, exactly how did I expect him to do a great task. 3) Personal Look and manner: Exactly how is the professional dressed, is he wise and dressed in like the employees of the company that you hired dress, does he speak with you in a manner that is respectful. 4) Does he pre-inspect your carpeting, carpet fibers are different and respond different to different approaches of cleaning and chemicals. Ensure the specialist carefully examines your carpeting. He must preferably take a piece from near the radiator pipes and perform tests on it. 5) Pre-vacuum. This is a must, some carpet cleaners do not do this and it will only cause your carpeting to re-soil after a brief time frame. 6) Pre-spray – A cleaner must always have a bottle of pre spray prepared based upon the results of the tests carried out earlier. This must be brushed in using a carpeting stack brush which appears like broom. 7) Devices – Make certain this looks like industrial cleaning equipment and not something that you can get from the store rentals. Even better go take a look inside his truck, you then understand he’s serious about cleaning. If anyone has ever tried to clean the carpet before, you know how problematic this type of job can be. If you are not using the right cleaning agents to clean your carpet, or if you have simply never done this before, you might not do the best job possible. Hiring a professional is much more easy and once the job is complete, you will know that it is thoroughly clean. Here are four of the top benefits that you will receive by cleaning your carpet on a regular basis. 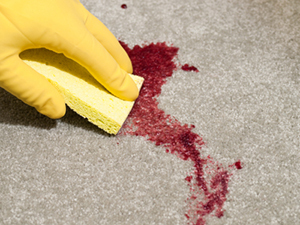 To extend the life of your carpet, you should clean it on a regular basis. Particulates at the base can damage the carpet itself, which is why you want to always keep it clean. Bacteria can build up in your carpet which can lead to health issues for people in your family. Dirt can start to attach permanently to carpet fibers. Dirt also has germs and this will release into the air and cause poor air quality. Using a professional carpet cleaning service is to maintain its appearance. If done every 6-12 months, it will stay clean, looking pristine for you and any guest that comes over. By using a professional carpet cleaning business regularly, you can ensure the longevity, appearance and beauty of your carpet for many years to come. Getting carpets professionally cleaned will give you a better indoor air environment and will help in preventing any allergy problems developing in your family. Baton Rouge Steamers services can help get your Carpets back up to par. We have convenient hours with very competitive prices. . Baton Rouge Steamers cleaning services with promise to give you the best service in this town and leave you 100% satisfied. Carpet can contain allergens and contaminants and the best way to get those up and out of your home is with professionally cleaning. Our team of expert cleaners will help deep clean your carpeting and make sure the customer is always happy. 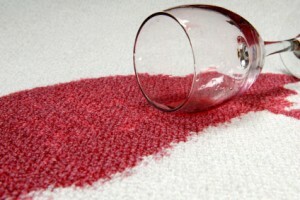 Stains may happen and we are terrific at getting them up and out of the carpet. We have kids and we know accidents happen and bad spills can really make the carpet look horrible. We can most certainly get carpets back to their original state and make your indoor air quality much better. It’s hard when you have a family and everyone is running in and out. That makes it more and more important to get carpets cleaned.